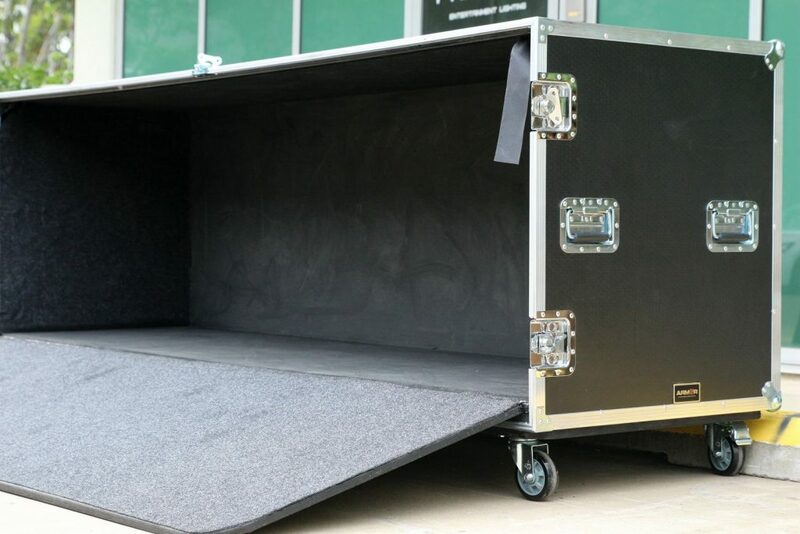 This is a road case for NSW Gymnastic for their Gymnastic Air Floor. This case is going to carry a lot of weight (appx. 180kg) so our main goal was for it to have good structural integrity. Thus, we used 12mm broad plywood with black PVC finish for the lid and the sides and reinforced the bottom with 18mm thick plywood. For added strength, we made an aluminium framing all around the case. The lid’s interior is lined with 5mm wide EVA foam, whereas the rest of the case is padded with 10mm of it. We designed a removable front lid so taking the deflated air floor out of the casing would be very easy, especially with the built-in ramp that we constructed for effortless rolling of the heavy product into and out of the case. 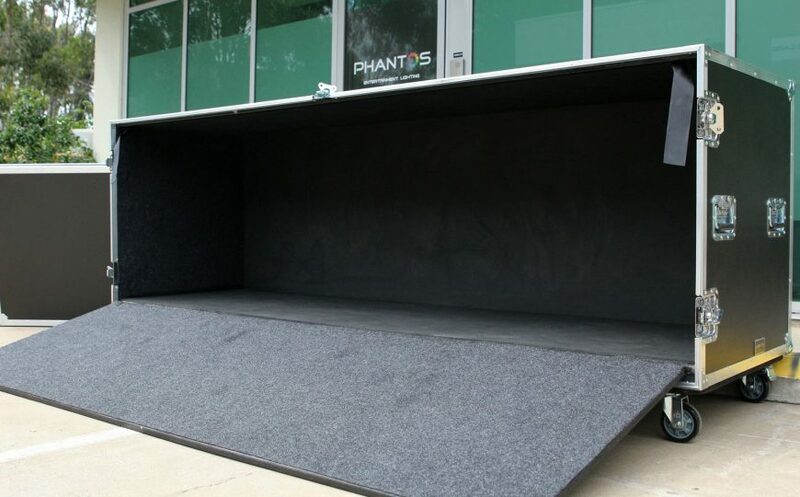 The ramp is, also, 18mm thick, it has a carpet finish and supporting beams underneath it to withstand the load. Since we were dealing with such heavy material, we, also, included heavy-duty wheels for convenient rolling.